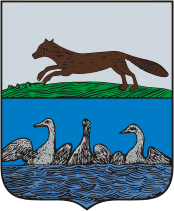 Sterlitamak (in Bashkir - Стәрлетамаҡ) is the administrative center of Sterlitamak municipal district, in the Republic of Bashkortostan, Russian Federation. The city is located on the left bank of the Belaya River, 121 kilometres from Ufa. The city's name comes from the Bashkir language and literally means “mouth of the river Sterlya”. According to data from 2009, Sterlitamak has a population of 273,000. The climate is the same as in Ufa and Yekaterinburg - long, cold winters and short hot summers. Average temperatures in January are between -15 and -20C, with cold snaps of -35C. July and August can be very hot, with temperatures reaching as high as 35C. In the early 18th century on the site of that is now the city of Sterlitamak there was simply a Tatar village with a post office on the road from Ufa to Orenburg. Then by decree of Empress Catherine II, a salt ghat on the Ashkadar river was founded, which then merged with the village of Sterlitamak and became known as "Sterlitamak pier". During the Peasants' War of 1773-1775 (Pugachev uprising) Sterlitamak was under the control of insurgents, and was subsequently burned. After the restoration it became the administrative center of Sterlitamak county, and 1781 it was granted the status of a city. Prior to the abolition of serfdom, the most influential landowners of Sterlitamak County were Levashov, Mikhailov and Belousov. In the town there were private companies and a variety of handicraft industries (leather and leather products, flour mill, the production of vodka, beer). After the abolition of serfdom, the city grew significantly in numbers and territory; there were large-scale production enterprises. In 1870 Sterlitamak the City Duma was built. In the prewar years Sterlitamak grew rapidly, mainly due to the consolidation of enterprises and the construction of new ones. In 1922 the first power plant was launched, suppling mills and sawmills with energy. In 1930 the Sterlitamakskij District was created (at that time in Sterlitamak, there were 24 thousand inhabitants), and in 1932 oil production was initiated. At the same time, the railway was laid at Sterlitamak (mainly for freight), and in 1934 the first freight train had arrived. In connection with all these changes, the population of the city prior to 1939 increased by 58% and reached 37,9 thousand people. Due to the sharp rise in employment capacity in the city, it was decided to build Sterlitamak further to the east, closer to the White River and bypass roads for freight transport from the west were constructed. By 1984, the population reached 237.9 thousand. Originally the town of Sterlitamak was built in the area between the rivers Ashkadar and Sterlya (which is the historical city center now, also known as Old Town). Within Sterlitamak you can visit the five palaces and houses of culture. To the east of the city (approximately 50 km) are the Ural Mountains, to the west the East European Plain begins. In the vicinity of Sterlitamak (inside the Belaya basin) there are Shihan mountains (Yurak Tau, Kush Tau, Shakh Tau and Tra Tau), which are unique geological formations. There are several museums and art galleries in Sterlitamak such as; The Sterlitamakskii Historical Museum, The Art Gallery of Bashkir, and The State Art Museum. For enthusiasts of the performing arts you can see productions by the Sterlitamak Theratrical Association (which includes: the State Russian Drama Theater, Bashkir Drama Theater, and Dance Theater). There are also 3 cinemas, 3 sports stadiums and 2 swimming pools. Sterlitamak has an airport 30km from the city - Sterlitamakskii Airport. You can also fly to Ufa International Airport (approximately 100km from Sterlitamak) and then take a bus.